The compassion to provide needed mental health services to women and children is something that almost everyone shares. But each comes with unique needs and challenges that requires being strategic about how to get the most out of our limited resources. At MHA of Greater Houston, we work diligently to leverage support for their needs, and have a history of success. Now we need the Legislature to step up and be our partner. Fortunately, they are starting to listen. This is Minding Houston, I’m Bill Kelly. When we talk about women’s mental health, one focus is on perinatal mental health. One of the best partners we have worked with has been our friends with Children At Risk, who recently completed a Postpartum Needs Assessment for Houston last fall as well as collaborated with MHA of Greater Houston and our friends with Doctors for Change to host a public policy conference on PPD. 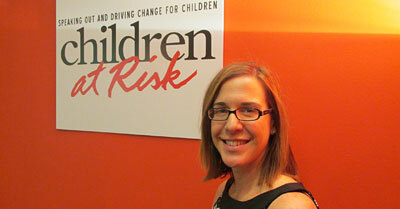 Bill Kelly: I’m here at Children at Risk with their director of Government Relations and Public Policy Mandi Kimball. Mandi, thank you so much for meeting with me today. Talking about postpartum depression and the work your organization has done, what are some of the statistics that really led you to dig into this area? Mandi Kimball: Well, mental disorders are the second leading cause of hospitalization of women of child-bearing age, which is 14 to 44 years old, in Harris County and in Texas. So the most common cause of hospitalization is child birth then you have mental health disorders. Approximately 12,000 to 15,000 women in Harris County experience PPD each year and 69,000 to 79,000 women in Texas experience PPD each year. Kelly: Wow, so your organization using these statistics went out and did a comprehensive needs assessment Greater Houston area on PPD. What were some of the highlights from that needs assessment? Kelly: Great, great. And looking at that assessment you guys didn’t just detail the problems and the specifics out there; you also met with policy makers. Can you talk a little bit about your public policy summit that we were proud to partner with you with back in on October? Kimball: Sure, it was a great partnership. You know it’s really important. A lot of people collect data, they do studies, we did a needs assessment and it’s important that it doesn’t just sit on the shelf. And so we partnered up with folks and we had a policy event. We were privileged to have Representative Coleman and Representative Zerwas join, two wonderful champion, historically have been great champions and are really working at this session and we are gratefully appreciative. But talking about this is the data, this is what is going on in Houston and what are the steps that can be taken during the 84th legislative session to break down barriers and to improve access to health and awareness as well. We are also really excited to see that Governor Abbott has made this issue one of his priorities as well. Postpartum depression gained national notoriety as a serious illness after Andrea Yates drowned her five young children in 2001. Her conviction, retrial and ultimate verdict of not guilty by reason of insanity brought attention to a disease that is still frequently misunderstood. 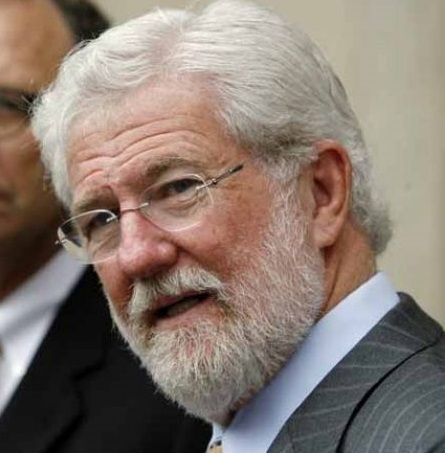 George Parnham was Yates defense attorney. Parnham says out of that tragedy has grown a better understanding of women’s mental health. However, one of the biggest obstacles in treating PPD remains access to care. Many providers tell us of the importance of screening and identification is clear, but coverage for low income women is too often difficult to access and all too often expires before it can be used. For example, the eligibility of services for a mother on Medicaid ends 60 days after the birth of the child. Given that PPD onset is typically within 4 to 6 weeks of delivery but may be recognized anytime during the first year, the window for eligibility of services quickly closes as the threat of depression increases. It is worth noting in the first month after delivery (when half of the time for service eligibility is already expired) childbearing women are at three times greater risk for depression compared to non-childbearing women. It is no surprise to learn that Rep. Garnet Coleman is right in the middle of trying to address this problem with a bill, House Bill 3115, to extend postpartum depression treatment for a year after delivery to Medicaid and CHIP Perinatal programs. However, it might be surprising to see the strong bipartisan support his bill has gathered, support that goes all the way to the top of Texas state government. Bill Kelly: I’m here with Representative Garnet Coleman, chairman of the County Affairs committee here in Austin in his office. Representative Coleman you laid out a bill yesterday in committee about postpartum depression and extending those services, HB 3115. Can you talk a little bit about your history in dealing with postpartum depression and how this bill could really expand services? Kelly: Absolutely. And one of the things, Rep., that everyone that goes to our blog is going to know about your longtime advocacy and really been a state wide leader for issues on it. For this bill, Senator Joan Huffman, a Republican in the senate; you’ve got the support of Republic Governor Greg Abbott. I think that really speaks to – or what do you think that really speaks to in seeing the support? Kelly: Absolutely. Thank you somuch for your time today, Rep. While Rep. Coleman works his bill to help expand coverage access for new mothers, another bill he is working on focuses on children. In this case, it is a program called “Mental Health First Aid,” an 8 hour in-person training that teaches how to help people developing a mental illness or who are in a crisis. The training highlights ways to identify, understand, and respond to signs of mental illnesses and substance use disorders. If someone cuts their finger or bumps their head, you get out your first aid kit. But what do you do if your loved one has a panic attack? Or symptoms of depression? Do you have a mental health first aid kit? You should and you can get the tools to fill your at a mental health first aid course. People with mental health issues should never be labeled as crazy or odd. These are real health issues that require treatment and understanding and they are common too. One in five Americans will struggle with a mental health issue at some time in their lives. Labels don’t help, learning does. And that’s what a mental health first aid course is all about. At the course you’ll learn the signs of many common mental health issues. A: To Assess for risk of suicide or harm. G: Giving reassurance and information. E: Encouraging appropriate professional health. E: Encouraging self-help strategies and other support strategies. Learn about mental health and you can help prevent a crisis or deal with one. Stack your mental health first aid kit by taking one of these courses. Training is available for dealing with adult or youth mental health issues. To put a local face on what Mental Health First Aid right here in Houston, I’m proud to introduce my colleague Janet Pozmantier. 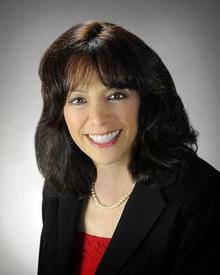 Janet is a licensed professional counselor, marriage and family therapist, and play therapist. She began her career in primary prevention in 1982 at Mental Health America of Greater Houston (MHA) as the first director of WHO (We Help Ourselves), a child abuse prevention program, followed by 20 years at ChildBuilders, where she created Parents Under Construction, a nationally recognized, research-based, award-winning program teaching children and youth today the parenting skills they will need in the future. She currently leads the Harris County School Behavioral Health Initiative at MHA of Greater Houston. Janet sat down with our own Erika Lyles to talk about Mental Health First Aid and what she does here at MHA of Greater Houston. Erika Lyles: Hello Janet. Thank you so much for joining us today on Minding Houston. Janet Pozmantier: It’s a pleasure to be here, Erika. Thank you for inviting me. Lyles: In teaching MHFA how many teachers have you been table to train and what has been the response been so far? Pozmantier: Well that’s a great question, Erika. (With) Mental Health First Aid: the Youth Version we have trained approximately 500 to 600 teachers and school support people like administrators etcetera and it has been a fabulous experience. We have trained people all over the City of Houston, Harris County area, school districts, people that work with school-based programs such as Communities in Schools and the response has really been overwhelmingly positive. The training is kind of long, it’s an eight hour training, but we get less complaints about the length of the training and more compliments about the content and about how valuable the training has been to the participants. Many of the people who come to the training really don’t know that much about mental health. On the other hand, we do have some people who are trained professionals in mental health and it’s a really good refresher for them and it gives them a bit more of an insight about what is happening that they haven’t thought about before with the students that they work with. The feedback just brings tears to my eyes and I see how an eight hour training can really impact people and make them feel more confident that they can recognize signs and symptoms and help the children that they work with. Lyles: Considering that, what would you say to legislators who are considering whether or not to fund Mental Health First Aid? Pozmantier: Well, my hope is that they would not de-fund it because it is already funded to some extent and I think it’s fabulous that the state has allocated funds to do that. I would love to meet with them if they were considering de-funding it because I would like to show them the feedback that we have gotten from these teachers and counselors and other support people. It’s always a mistake in my opinion to go backwards. I think it’s so important to keep going forward and we’ve found something that works and Mental Health First Aid is an evidence based program, we do know that it works from a number of studies that have been done all over the world, not just in America. Why would you not go forward? Janet has seen first-hand the difference education and training can have for teachers. And she is certainly not alone in her praise for Mental Health First Aid. 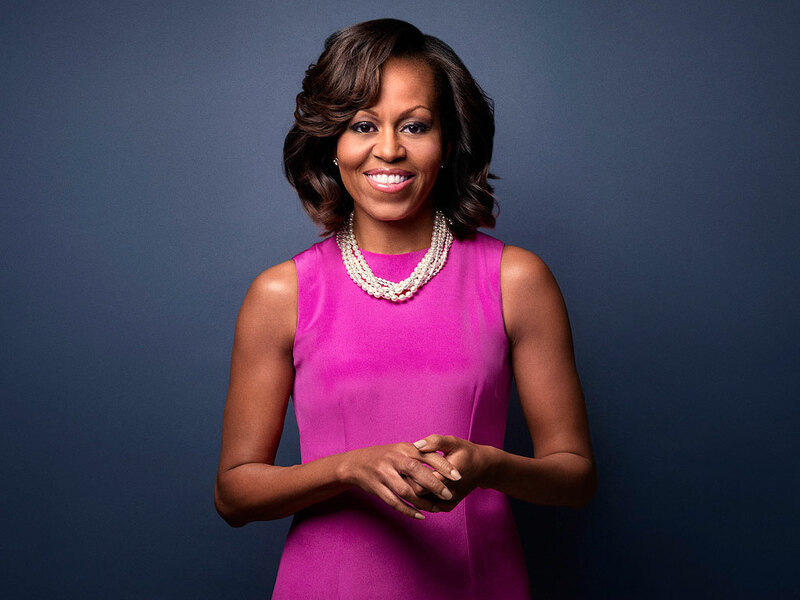 Recently First Lady of the United States Michelle Obama talked about importance of this training and the need for more understanding when it comes to mental illness. First Lady Michelle Obama: For behavioral health we’ll be training three million people in mental health first aid. I went through some of this training a few weeks ago, a shorter version of it I have to say. But even in that short time I saw just how useful these tools were. It really gives you the skills you need to identify and ultimately help someone in need because you never know when these skills might be useful. Mrs. Obama gave her remarks at the national kick-off event for the Change Direction campaign, an initiative designed to shift the public conversation and cultural attitudes about mental health. The Change Direction initiative includes concerned citizens, nonprofit leaders, and leaders from the private sector and was inspired by the discussion at the White House National Conference on Mental Health in 2013, which came on the heels of the Newtown tragedy. Back in Texas, our Legislature has made real progress on helping teachers receive the needed Mental Health First Aide trainings. Last session, the legislature passed a measure to provide voluntary, no-cost MHFA training to educators with $5 million was allocated to pay for training through local mental health authorities. However, when making the funds available, the eligibility was to “educators” only. This session, Senate Bill 133 expands the availability of free MHFA training beyond teachers to include school counselors, nurses, teacher’s aides, school bus drivers, principals, assistant principals, and school resource officers. 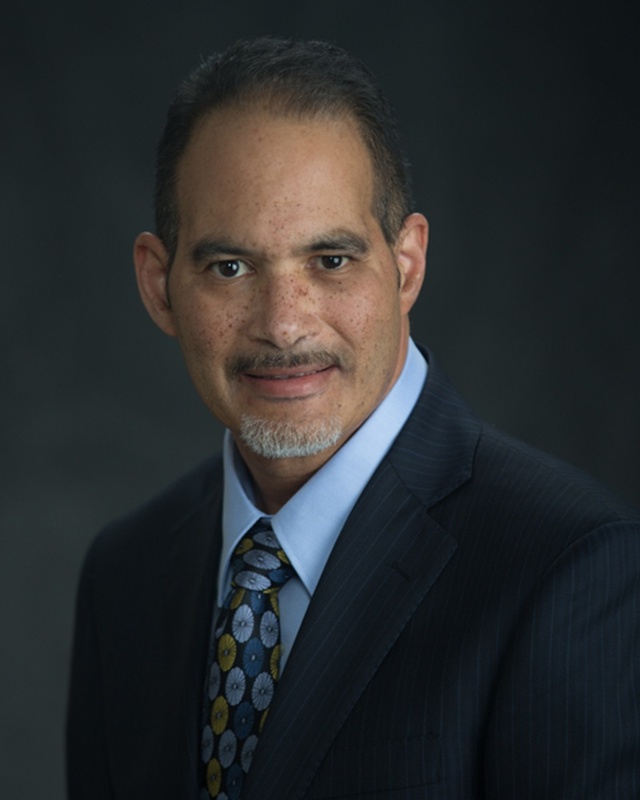 With Senator Charles Schwertner already passing the bill through the Senate, Rep. Garnet Coleman stands ready to pass it through the House and on to Governor Abbott’s desk. While the state continues to make progress on children’s mental health, MHA Houston is rolling out a new campaign that looks to go even further. For more info on the Children’s Art Contest, my colleague Traci Patterson joins us. May is Mental Health Month. It is also Children’s Mental Health Week (May 3-7th) and Children’s Mental Health Day on May 7th. I am excited to share that on May 1st Mental Health America of Greater Houston will launch its public awareness campaign, “Your Child’s Emotional Backpack”. Children carry a backpack almost everywhere they go. Most never go anywhere without it. Through a series of public service announcements in English and Spanish, a diverse group of children and young people share a message about the importance of filling a child’s emotional backpack so they will also carry with them everywhere they go with the tools, skills and strategies they need to stay mentally healthy and well. Most childhood mental illnesses emerge by the time a child is 14. That’s around the 8th grade. The campaign is a community effort to help parents, kids and those who work in child and family support roles become more aware of children’s mental health facts, issues and local resources. In addition to the campaign, MHA Houston in partnership with the Nick Finnegan Counseling Center, students from the University of St Thomas,Rice University and about 25 local nonprofits, businesses and agencies is promoting children’s mental health through its first #HTxMentalHealth Children’s Art Contest. The Art Contest encourages children in grades K-8 to share their understanding of mental health through art and helps parents and other adults learn more about mental health facts, issues and resources. On May 5th the winning entries will be announced and a proclamation read at the Houston City Council Meeting by council member Ellen Cohen proclaiming May 3-9 Greater Houston Children’s Mental Health Week. On May 3-7 Houston City Hall will glow green, the awareness color of mental health, in observance of children’s mental health and as a tribute our young artists. The winning art and contestant art will also be displayed in a digital art gallery beginning May 3 and can be found on the contest website: http://www.htxmentalhealth.weebly.com and on the MHA Houston and Finnegan Counseling Center’s sites. As part of the campaign, we are also encouraging kids, with permission and adults to share and show how they are celebrating the mental health of children by posting pictures on social media to the #HTxMentalHealth throughout May. As friends, families and caring adults, it’s up to us to learn about children’s mental health and behavioral health strategies to help keep all children healthy and well. If there is a change in the behavior or wellness of our children, we must learn to recognize the signs of trouble, know the resources and how to get help if it is needed before there is a crisis situation. Being informed, aware and knowing what to do could potentially change the trajectory of a child’s life. 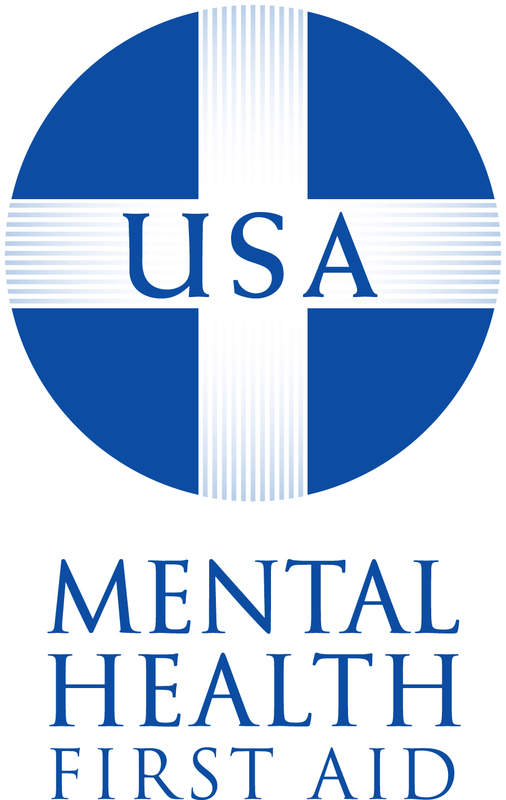 View the full commercial for Mental Health First Aid here. To read Children At Risk’s Postpartum Needs Assessment visit here.